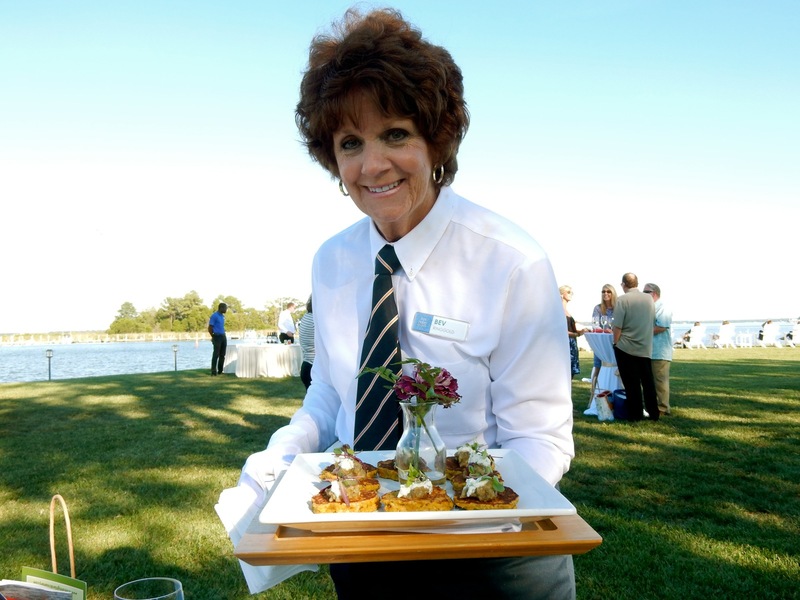 WHY GO: Remember the reception scene from the Wedding Crashers where the boat glides by and you wonder how there could be a real place so fantastically picturesque? 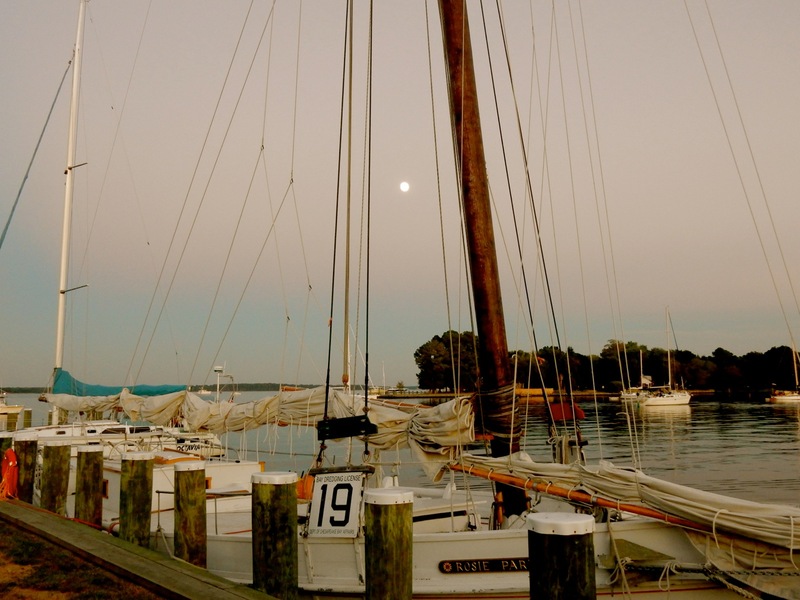 It was filmed in St Michaels MD, a Chesapeake Bay yachting town known for its superior Maritime Museum, charming main street shops, and yes, THAT VIEW. The best thing is, you can stay where that comedy was filmed – it’s a luxury inn right next door to the museum and a block from town. Start planning here. 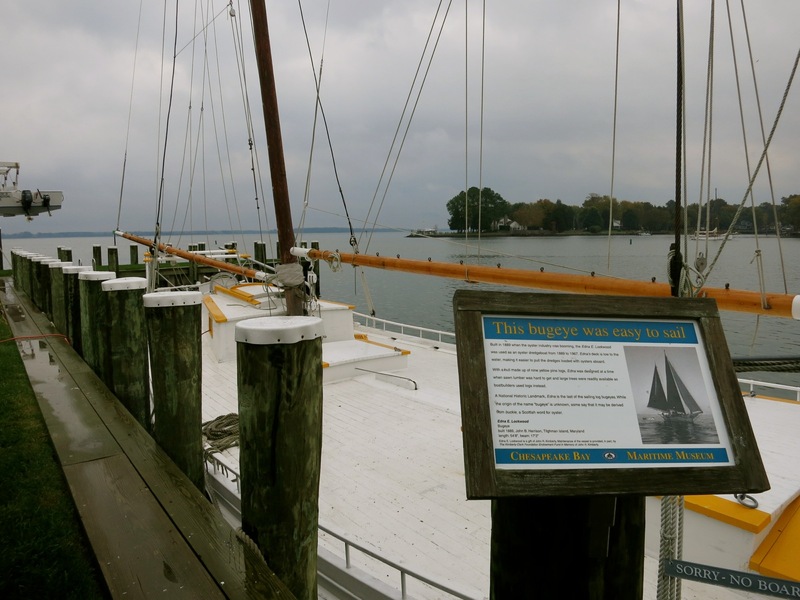 VISIT: Chesapeake Bay Maritime Museum. St. Michaels, like almost every other Chesapeake town, was built on the oyster industry. In fact, the very Maritime Museum itself was built atop oyster shells, as this was the site of an oyster canning plant. 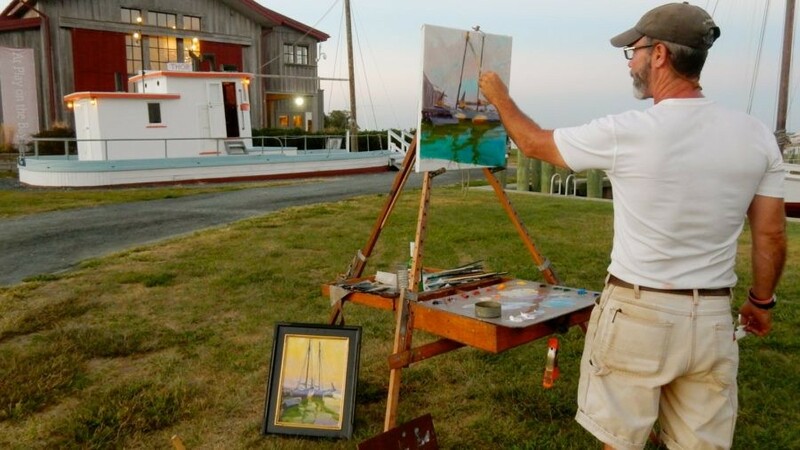 Through a myriad of buildings on 18 acres, programs and demonstrations, it does an excellent job immersing visitors in the Chesapeake’s boating and fishing history and culture. 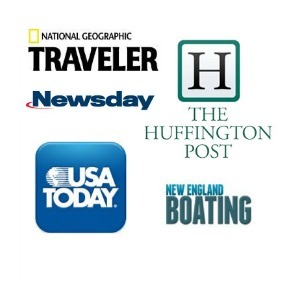 A premier, destination attraction in Maryland, plan on at least a half day to explore. Back in the 1600’s, when Pocahontas was saving John Smith’s life (or not: sorry, Disney fans, historians highly doubt Smith’s account), Chesapeake Bay oysters were as large as forearms. In the 18th into the 19th Century, “Bugeyes” – easy-to-sail dredge boats – dominated the bay. 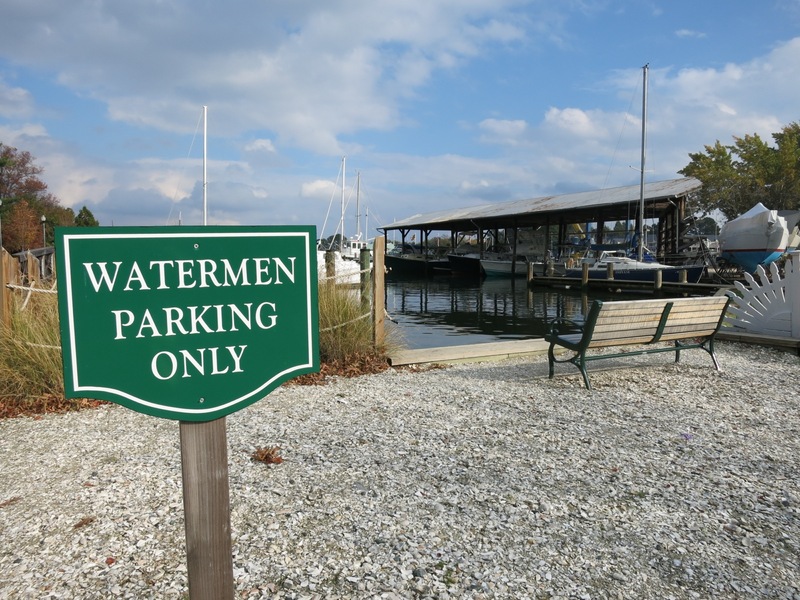 With oysters piled high, watermen met up with “Buy Boats,” and Buy Boats sold to processing plants where oysters were shucked and crabs “picked:” all links in a chain of work that was arduous, physically demanding, and male oriented – but colorblind. Black and white men toiled together as Maryland was home to the largest number of free slaves, even before the Civil War. Oyster experts cite the Civil War as a turning point in the Oyster Industry. Cans of oysters, cheap and readily available, were a staple of both Union and Confederate mess supplies, so after returning home, no matter how far from the sea, soldiers had developed a taste for the slimy shellfish. Oyster Bar Restaurants popped up all over the country and were so in vogue in the 1880’s, there were 200 in New York City alone. Oystering built hundreds of communities on the Chesapeake. Enter the Oystering on the Chesapeake building, and you can board a mock-up of an oyster boat that, though clever audio and video, gives you a good idea of what it felt (and still feels) like onboard. As technology improved from tongs to automatic dredgers, it allowed for the gleaning of oysters from ever-deeper depths. 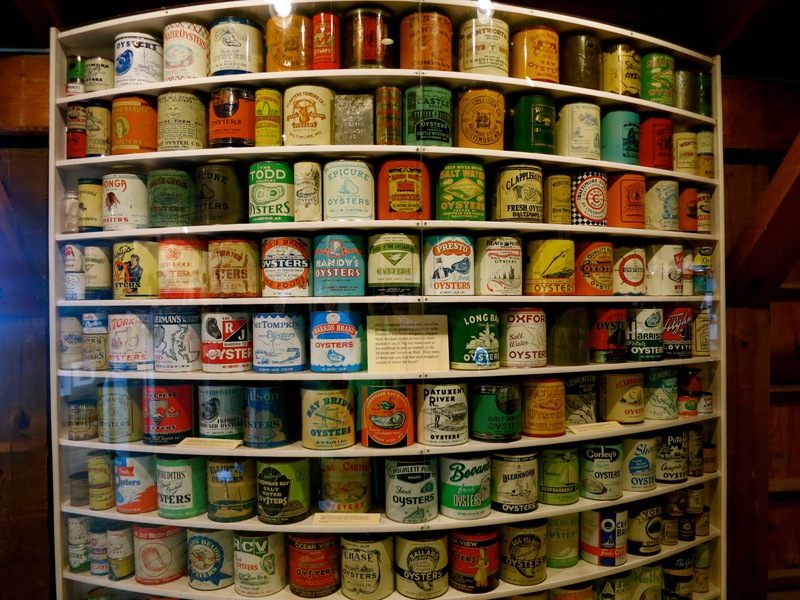 Among exhibits that cover the oyster industry from harvesting to canning is one of the most unique displays: cans upon cans of oysters – with different labels representing dozens of companies – stacked ceiling high. 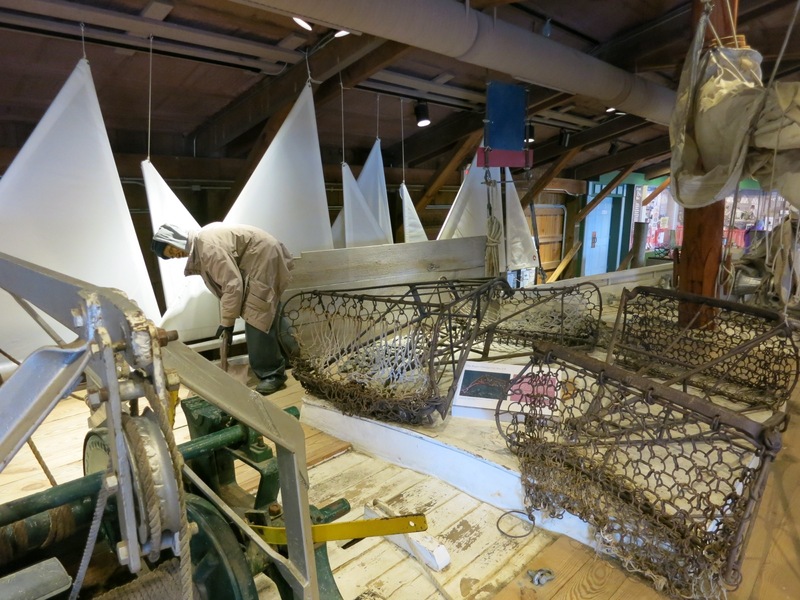 Continuing on with the shellfish theme, visit the Small Boat Shed and Maryland Crabmeat Company building, where you’ll find a re-created interior of a crab picking plant and a collection of fisheries’ boats. The museum maintains the 1879 Hooper Straight Lighthouse, and visitors can wander through homey rooms and upstairs to the lens. Unique to the Chesapeake Bay, the Screw Pile Lighthouse seems positively alien to someone used to the Saltshakers of New England. 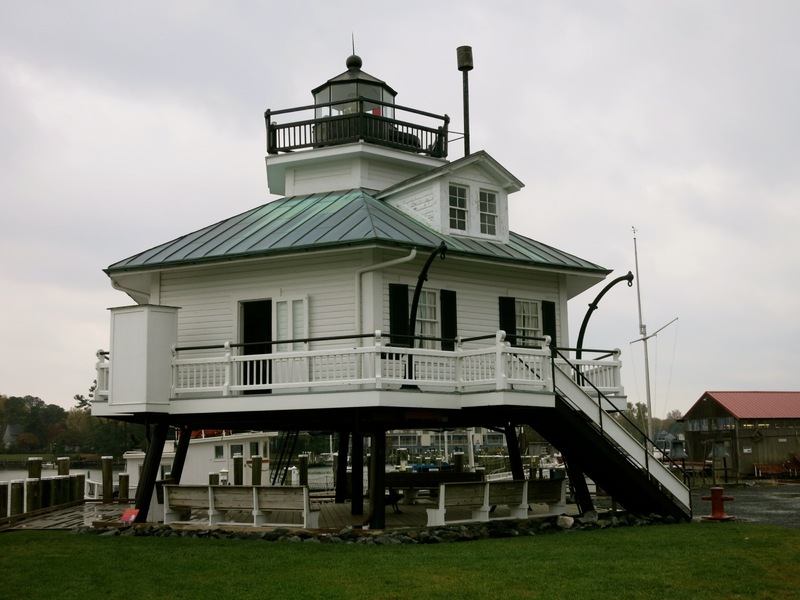 The muddy bottom of the Chesapeake presented a challenge to lighthouse builders: traditional structures tended to topple. So engineers came up with a way to literally “Screw” eight iron legs deep into the mud, with a platform on top to support a cottage topped by a light. 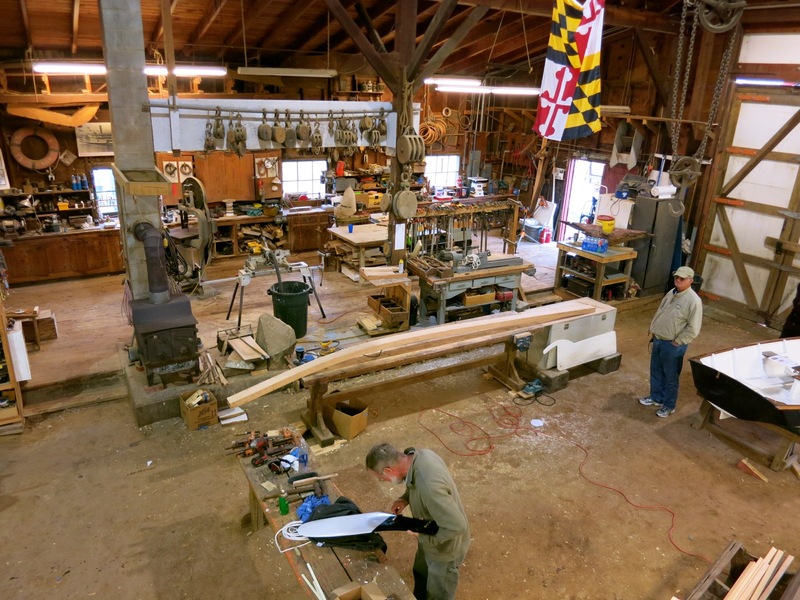 Though the Working Boatyard runs a one year Professional Apprentice program, visitors can sign up to learn the rudiments of boat building in a short one-day class. Whether you choose to build a boat or not, it’s fun to climb the stairs to an observation gallery and watch the action taking place below. The Bay History Museum is a fount of information about the Drowned River, an alternate name for the Chesapeake, because, as the original river filled with tidal water, it spread to create the wide, shallow body of water it is today, with troughs in the center over 150 feet deep. 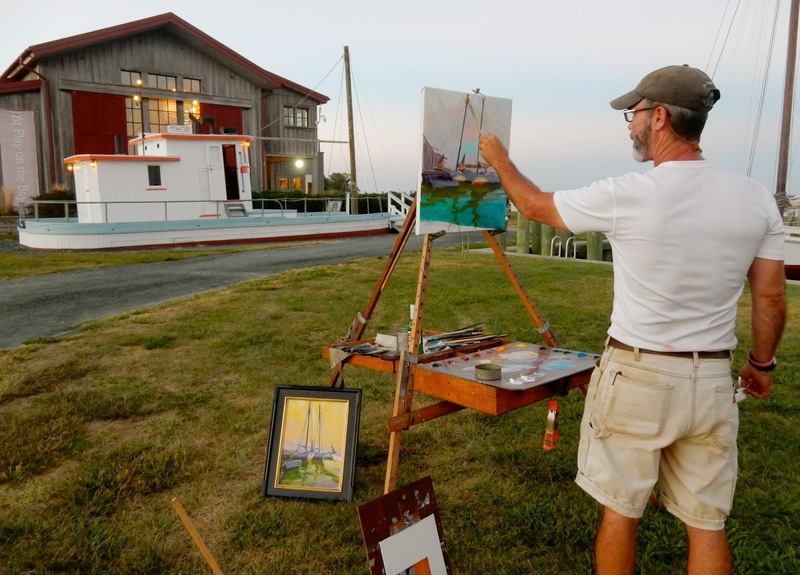 If you’ve been to Tangier Island, the Watermen’s Wharf exhibit will look very familiar. Typical of a crab/oyster shanty, it’s a favorite with kids who can try their hand at crabbing from the dock. Open April-Nov daily 9-6, Nov – April 10-4, $15 adults, $6 kids. TASTE: Lyon Distilling. 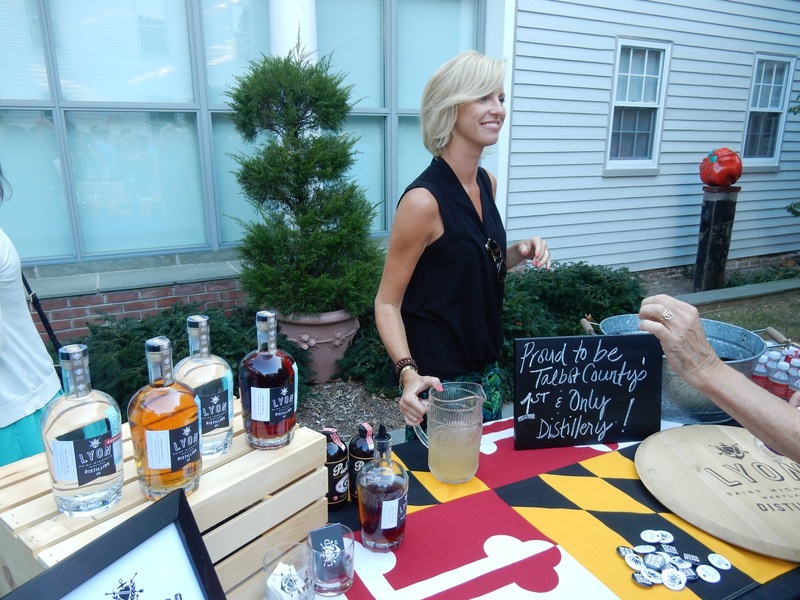 Get a first taste of “smoky” dark rum, corn and malt whiskey at this innovative distillery – a newcomer to the Eastern Shore. 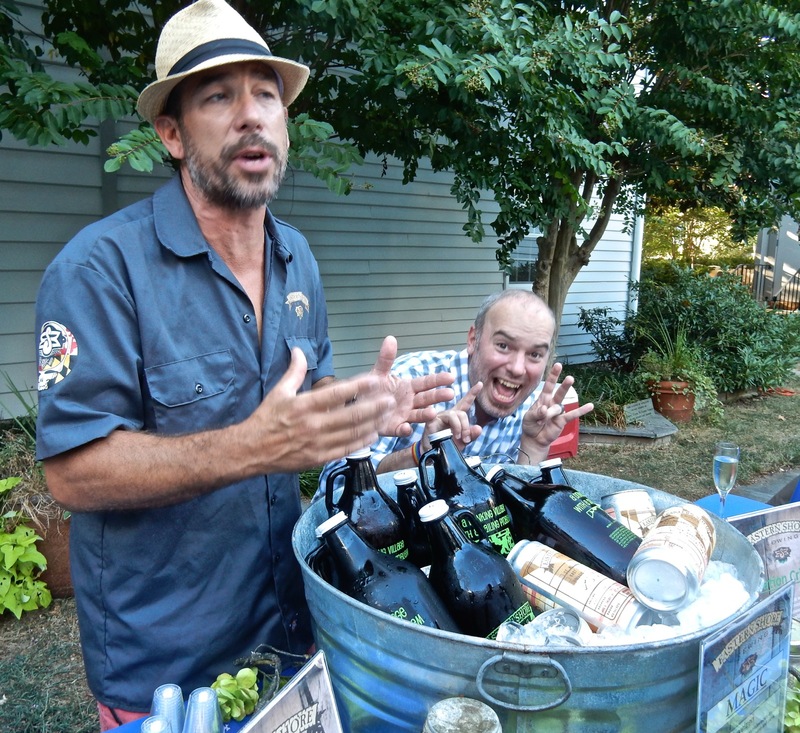 TASTE: Eastern Shore Brewing. Try Situation Critical (West Coast style IPA), 12 Gauge (American Stout) and other year round and seasonal brews at this festive brewery/tasting room. SHOP: Crabi Gras (means “Fat Crab”). A play on “Mardi-gras” – you can find all manner of tummy twisting hot sauce here. White Zombie and Satan’s Ghost are my personal favorites. Try before you buy. SHOP: American/Holiday of St. Michaels. Great gifts, cool stuff, reasonalble won’t break the bank prices. Quirky, just the way we like it. 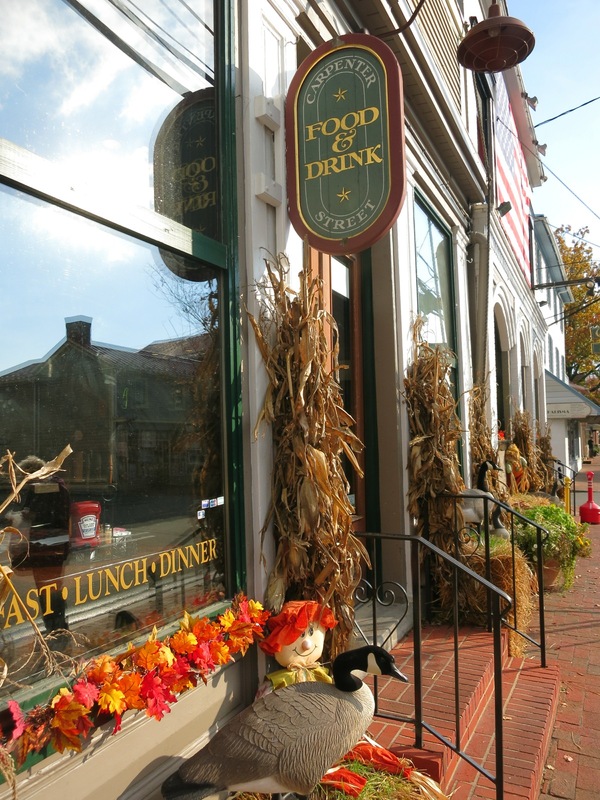 EAT: St. Michaels is a tourist town, with tourist spots aplenty. Where will you find the locals? At Chesapeake Landing (for steamed crabs), at 208 Talbot (for great upscale Bay Cuisine; crab cakes), at Ava’s Pizza (for designer Brick Oven Pizza), and Carpenter Street Saloon (decent grub and “best Bloody Mary on the Eastern Shore”). 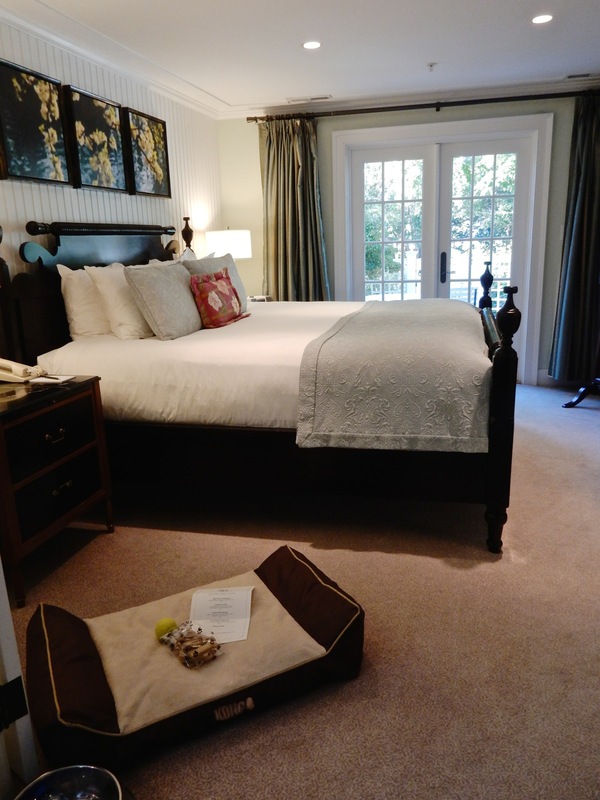 Rooms in pale colors, traditional colonial furniture with high-end bedding, are lovely, and service is friendly, low-key and on the mark. Some lavish chambers are even pet-friendly. 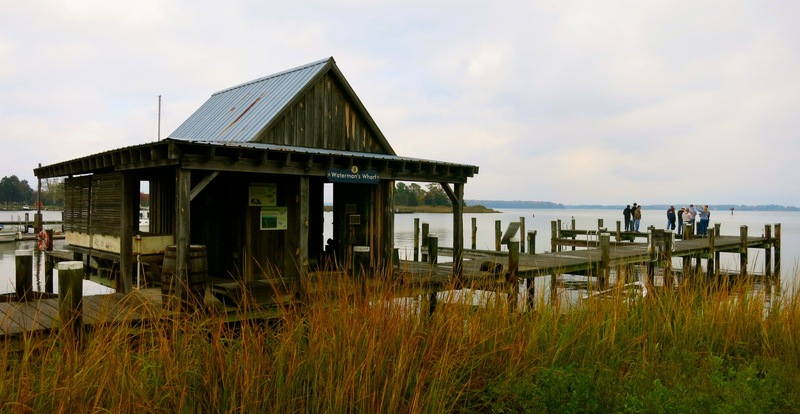 It’s the perfect location to explore the Chesapeake Bay Maritime Museum right next door. Room rates start at $350 per night.